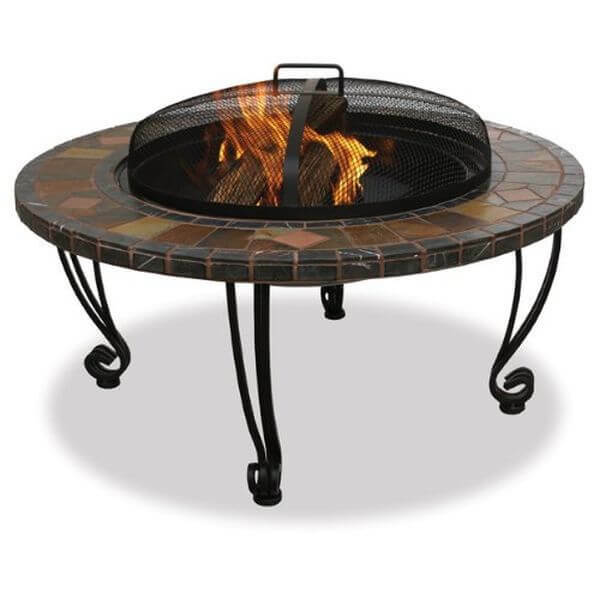 The wood burning Endless Summer Slate & Marble Firepit with Copper Accents is made from ultra durable and stylish black wrought iron. It has a slate tile mantel bowl that has been given copper accents to ensure a beautiful addition to an outdoor space of any kind. 40,000 BTUs will heat up to 150 sq. ft. 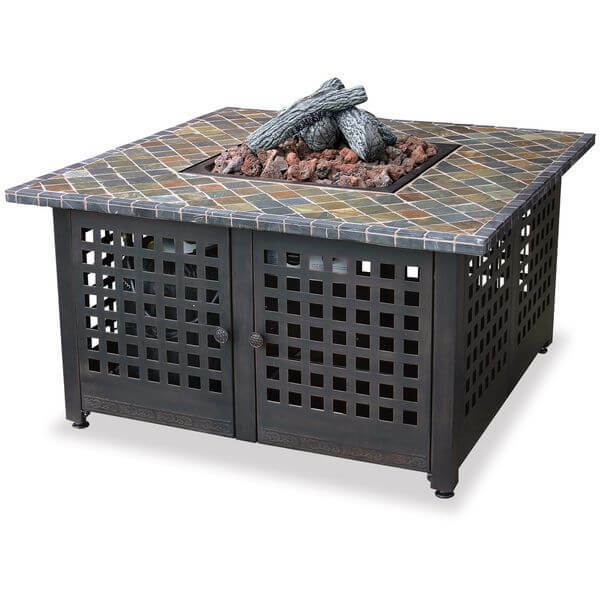 The Endless Summer LP Gas Outdoor Firebowl with Slate/Marble Mantel provides you with up to 40,000 BTUs of heat that can heat up an area up to 150 square feet. 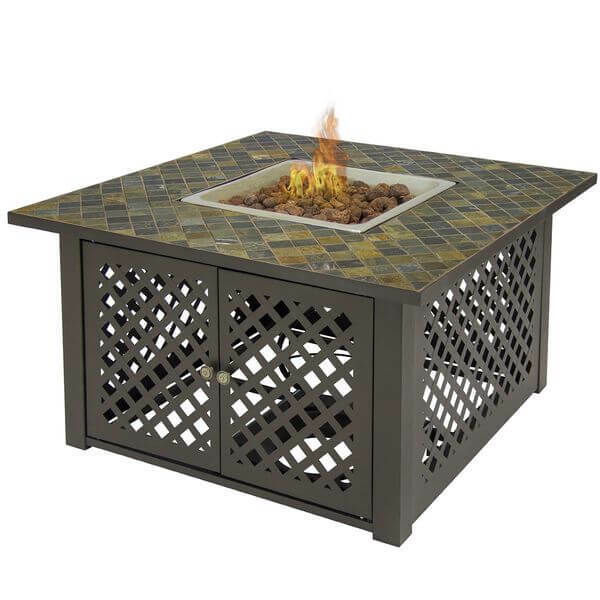 Made from striking multi colored slate and marble tile, lava rocks come included in this gorgeous fire pit. 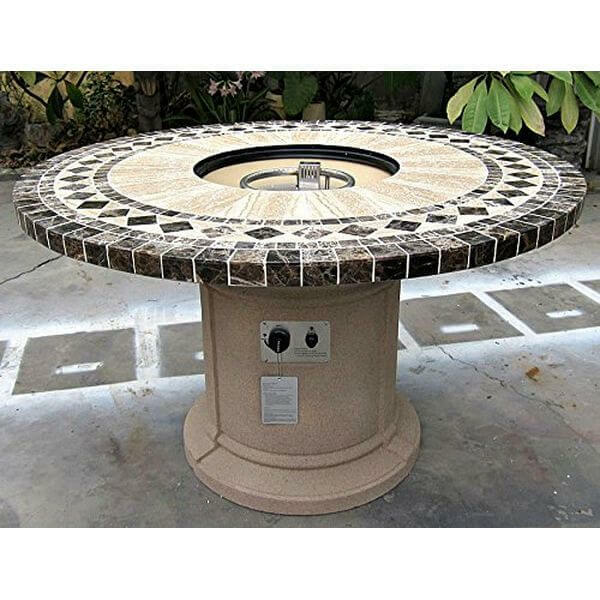 Detailed and sophisticated, the Best Choice Products Gas Outdoor Marble Fire Pit offers a handcrafted, earth colored marble and slate mantel atop its weather resistant cast iron body. It comes with a burner lid that protects it from the elements when it is not in use. Ultra modern, the Deeco Consumer Products Marble Milano Fire Pit Table is the perfect fire pit for any contemporary outdoor space. It measures 20 inches in size and features a marble top supported with durable steel legs. It comes with a lid for protection when not in use. 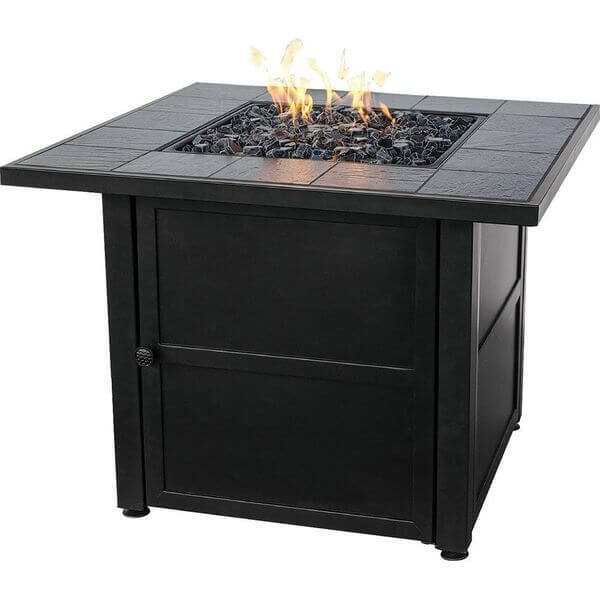 The stainless steel burner of the Endless Summer LP Gas Outdoor Fire Bowl with Slate Tile Mantel is able to produce up to 30,000 BTUs to warm any space. It comes with a slate tile mantel that adds a beautiful hint of detail to any outdoor living space. Tan Base Color – Table Height 29″ – Net weight 250 Lbs. / Shipping weight 350 Lbs. 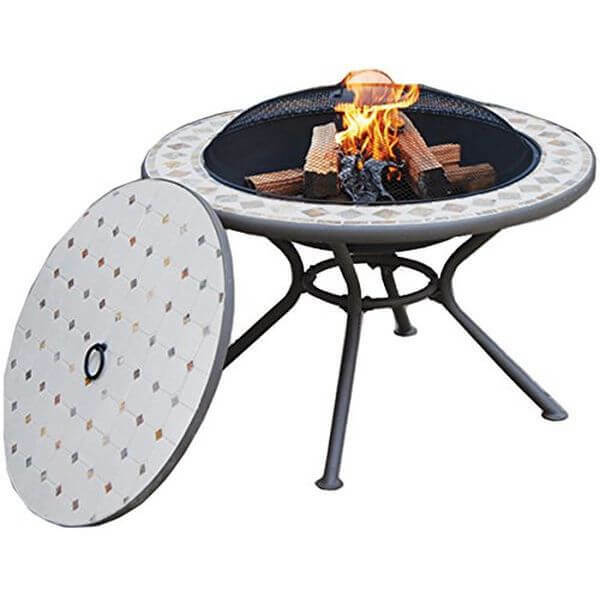 Measuring 48 inches in diameter, the Outdoor Gas Firepit with Marble Mosaic Inlay is a beautiful tan mosaic fire pit that can burn for as long as you need it to. The base is able to hold any standard size propane tank and tuck it out of sight.